There is no doubt that interstitial cystitis patients can develop the occasional bladder infection and, for an unlucky few, repeated infections can occur particularly in women who are menopausal and struggle with estrogen atrophy. Having a UTI on top of a bladder already struggling with IC can create extreme discomfort and pain. None of these are treatments for an active infection. If you suspect that you have infection, we strongly encourage you to contact your doctor and request a urine culture. This is vitally important so that you do not develop a potentially life threatening kidney infection. When in doubt, ALWAYS CALL YOUR DOCTOR. There are some items that some have found helpful. Of course, AZO Urinary Pain Relief Tablets can help reduce bladder pain and discomfort. 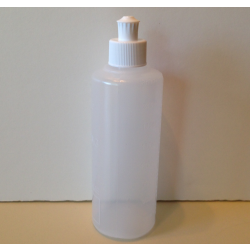 The Perineal Wash Bottle is a wonderful, easy way to reduce bacteria on the skin after you use the restroom. Some research studies have found that D-Mannose helps reduce the ability of e-coli to cling to the bladder wall. A simple sugar, it is one of the easiest prevention strategies that a patient can try, particularly if you are prone to e-coli infections. Don't forget to use a probiotic if you are taking antibiotics for a UTI to help prevent possible yeast infections!